What are birds, how do they fly, how do they live, what is their relation to humans? This is a large show about art history and Realism I made. This is a series of three books on science as opposed to ideological systems, myths and religions, made over more than twenty years. This is a page of some recent plein air and studio paintings about Cuyahoga National Park and our lives as well and a few essays on other artists, self portraits, art history, technical questions, among other matters. It is being reorganized. 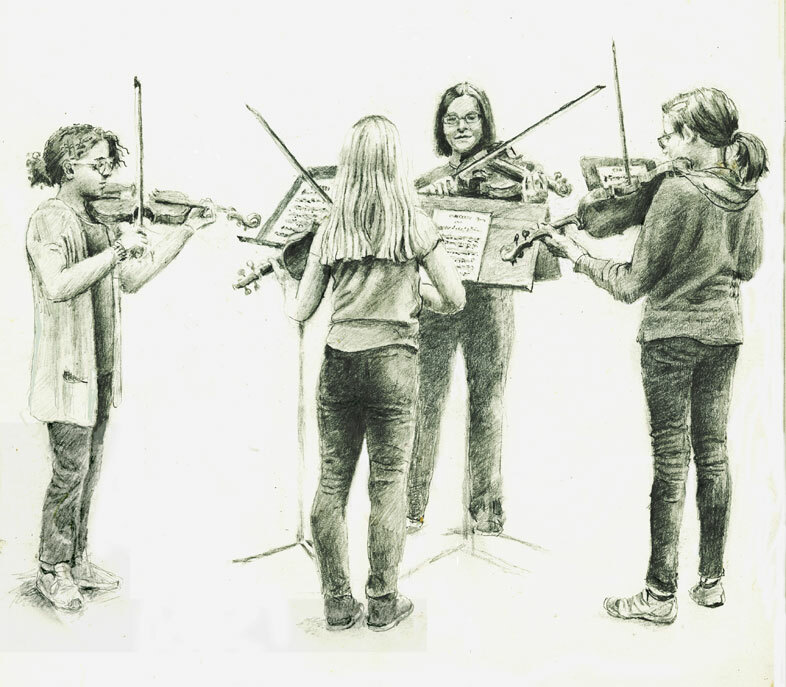 Drawing: Playing Telemann for 4 Violins"
Copyright © 2002-2016 Mark Koslow. All Rights Reserved.